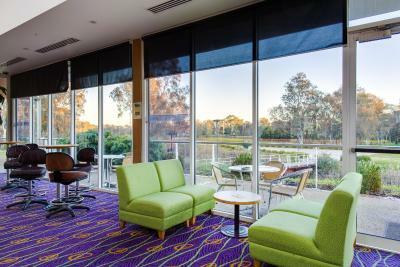 Lock in a great price for Thurgoona Country Club Resort – rated 8.9 by recent guests! 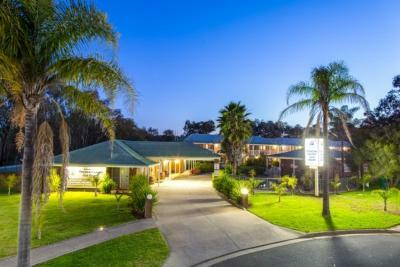 Easy location off the freeway - very clean and modern rooms - comfortable bed - best shower ever!! I travel frequently with my work, one of the best showers I’ve experienced. The complimentary continental breakfast was excellent and the $10.00 upgrade to a cooked breakfast was great value. Friendly and helpful staff and ideal location with no traffic noise. 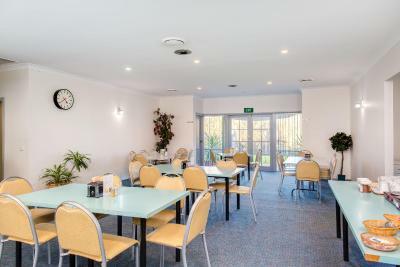 Located on the golf course, quiet no road noise, helpful staff and convenient to club for food and beverages. 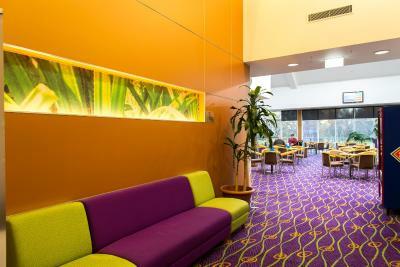 The staff were very friendly; the room was clean and quiet. We were so pleased that, having left an item in the room, it was returned to us. The breakfast. The gardener using machinery before 7am. Very noisy. 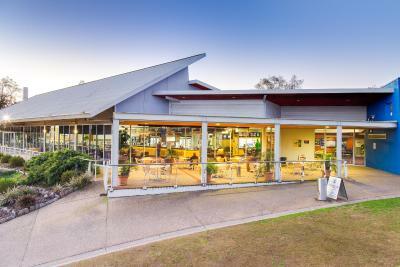 Thurgoona Country Club Resort This rating is a reflection of how the property compares to the industry standard when it comes to price, facilities and services available. It's based on a self-evaluation by the property. Use this rating to help choose your stay! 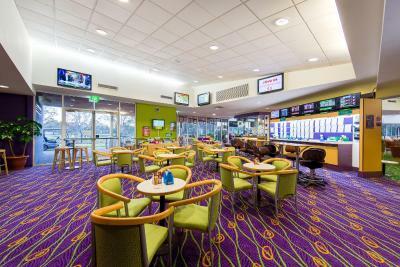 Featuring an 18-hole golf course and driving range, this country club resort offers a room with LCD TV and DVD player. Guests can enjoy a swim in the oudoor pool or relax in the hot tub. This resort also offers 2 dining options and free private parking. Carpeted rooms either overlook or open up onto the golf course. A fridge and tea and coffee making facilities are provided. Some rooms feature a spa bath. 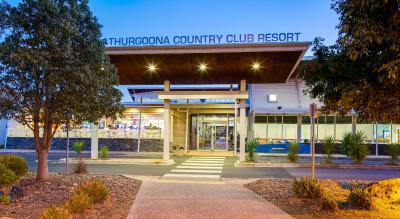 Thurgoona Country Club Resort's facilities include a sauna, tennis court and barbecue facilities. 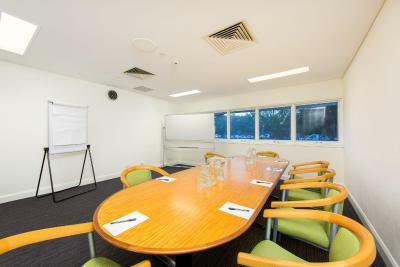 Room services and guest laundry facilities are also available. 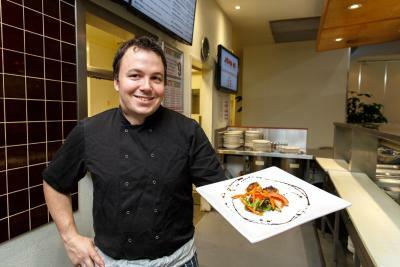 Thurgoona's coffee shop offers light meals, while the bistro serves Asian and International dishes. 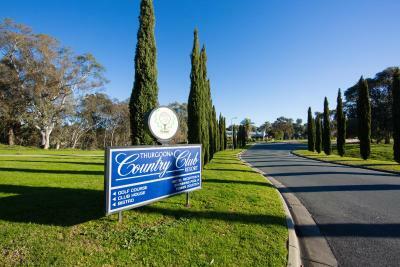 Thurgoona Country Club Resort is 6.2 mi from Albury's central business district. The Albury Airport is only 3.7 mi away. 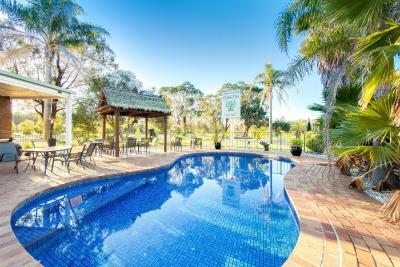 This property also has one of the top-rated locations in Thurgoona! Guests are happier about it compared to other properties in the area. 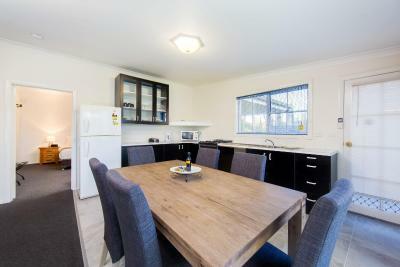 This property is also rated for the best value in Thurgoona! Guests are getting more for their money when compared to other properties in this city. 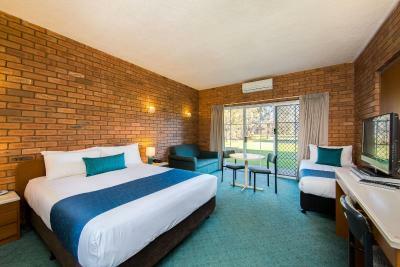 When would you like to stay at Thurgoona Country Club Resort? 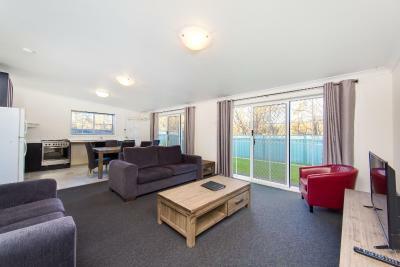 Features a flat screen TV with DVD player and private balcony or patio with views of the golf course. Maximum occupancy is 3 guests (see Policies). 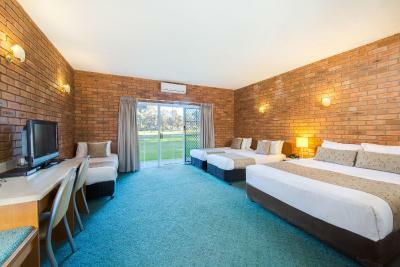 Spacious room featuring a lounge area with sofa bed, TV and DVD player,. It offers a private balcony or patio with views of the golf course. Maximum occupancy is 4 guests (see Policies). 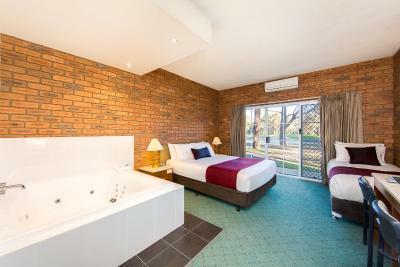 Features a spa bath in the room and views of the golf course. 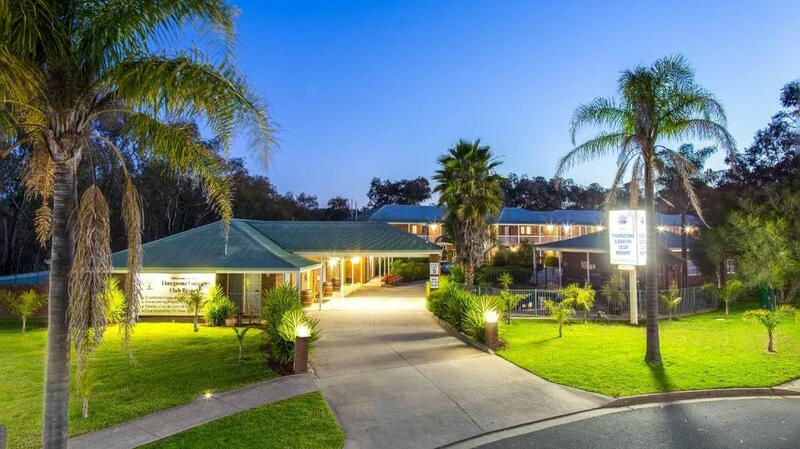 Thurgoona Country Club Resort is your home away from home. Choose from one of our 26 rooms or our 3-bedroom apartment for your next stay. Whether you're just traveling through or planning to stay with us for a while we strive to make your visit relaxing and enjoyable. Our championship 18-hole golf course is open for public play year-round and we offer stay and play packages for groups and couples. 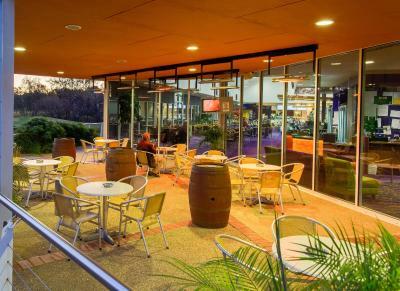 If you're looking for areas to explore we are within an easy 10 minute drive to central Albury or the Hume weir. A slightly longer drive takes you to the great Rutherglen wine region or the quaint towns of Beechworth, Yackandandah, Myrtleford or Bright. Or you might decide that once you get here, there's really no reason to go anywhere. 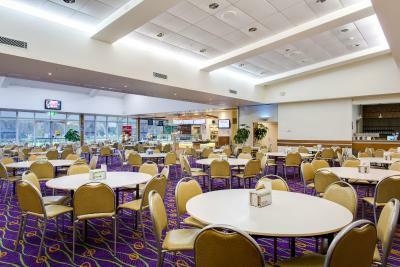 We look forward to seeing you at the Thurgoona Country Club Resort. 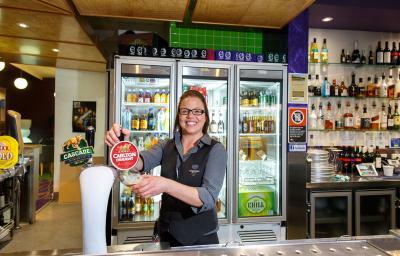 House Rules Thurgoona Country Club Resort takes special requests – add in the next step! Thurgoona Country Club Resort accepts these cards and reserves the right to temporarily hold an amount prior to arrival. Please note that a 3% surcharge applies for payments with American Express and DinersClub credit cards. You would have to be extremely fussy to find anything to fault. All things met or exceeded my expectations. There was a bit of noise in the morning which sounded like bins being emptied but not a huge concern. I loved this place. Rooms were very clean. Breakfast a little lacking but otherwise I could not fault this accommodation. Payment process. I had a receipt from Booking.com that the account had been paid on 20th Jan 2019 but the motel had no record of the account being paid so another transaction went through on my visa on 8th Feb 2019. It was advertised as breakfast included. However it was only the cold breakfast (cereals, cold milk and some fruits). If you want hot food such as toast or bacon it was $10 extra per head. Breakfast and swimming pool smaller than shows in pictures. The room had mosquitos, pool and spa and sauna was out of service. Brekky was poor. They can't call this a resort. Staff were friendly. Shower was great. The mini bar is way too overpriced. 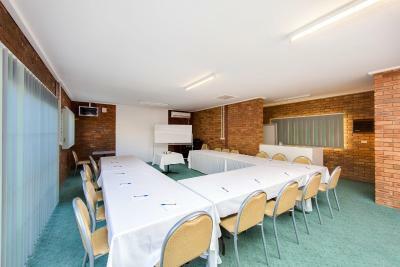 The room was very tidy and a decent size for what I wanted, staff were friendly and very helpful and understanding of questions.